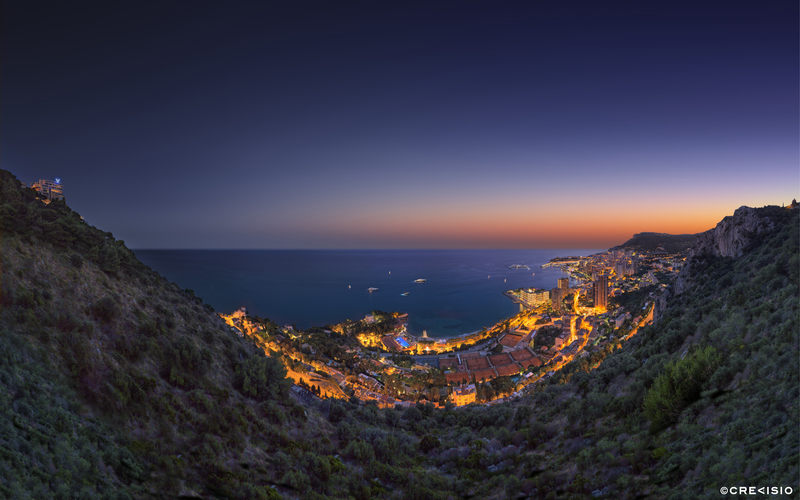 Evening twilight summer sunset with the Vista Palace Hotel overlooking the Principality of Monaco. The photograph was shot during the high season in summer. Luckily, the air had been washed clean a few days earlier by heavy rain, allowing for a magnificent and clear view. The full image size of this ultra high resolution photograph is a staggering 468 megapixel, at 27,360 x 17,100 pixels at 300 dpi.